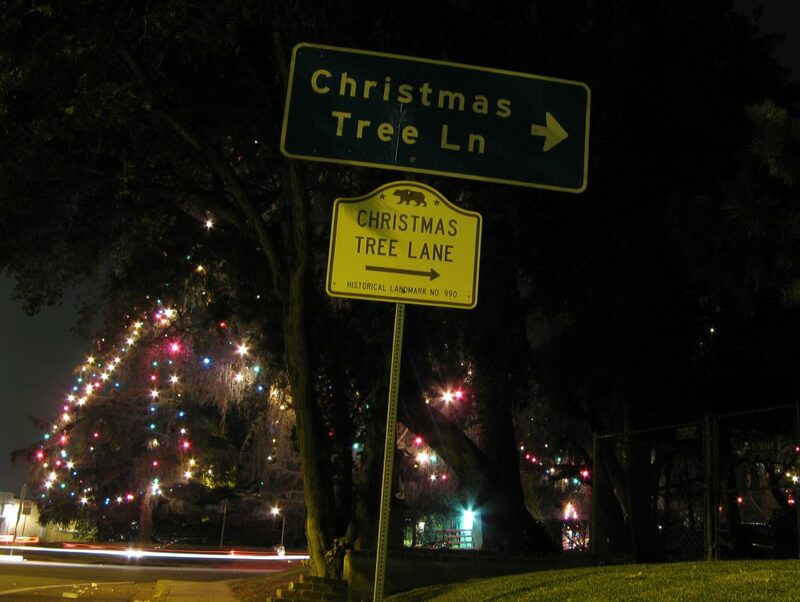 The lighting ceremony for Christmas Tree Lane is one of the oldest holiday traditions in Southern California. Every December, six blocks of Santa Rosa Avenue in bucolic, charming Altadena are transformed into a twinkling wonderland by thousands of colorful lights hidden up in the canopy of massive old trees. The tradition started 95 years ago when a shopkeeper named Frederick Nash talked the Pasadena Kiwanis Club into illuminating a row of Deodars planted by Altadena founder John Woodbury in 1883. The Lane became a state landmark in 1990 and continues to throw a big party every year to kick off the season (and help raise funds to pay the electric bill). If you go, take time to check out Altadena’s other big light show, the Balian mansion at 1960 Mendocino Lane. Ho! Ho! Ho!